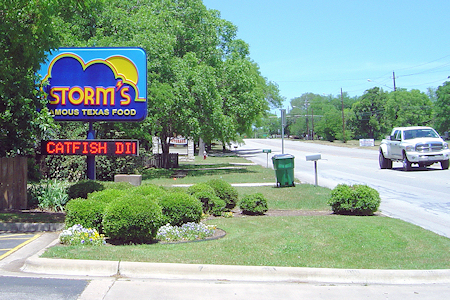 Storm's is a small chain of Fast Food restaurants with five locations in central Texas. 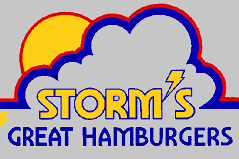 Storms has been in business somewhere in Texas since 1944. 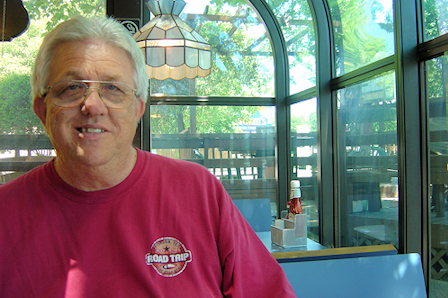 With locations in Lampasas, Kingsland and Marble Falls, Texas, I chose the one I saw first, the one in Burnet, Texas. Storms has "curb service" and a dining room, we chose the dining room be cause I don't like to eat in my truck, I'm too messy. I looked over the menu board above the order counter and asked for the "Storm Special". The Storm Special is a triple meat, yes I said triple meat and cheese burger. I also added jalapeños. My wife opted for a smaller burger. The polite young woman waiting on us offered a piece of strawberry cake for dessert. We declined but the she said, "I'll give you the biggest piece and then you can split it." (I think she has a career in sales.) but again we declined. I thought to my self, "I have burgers to eat and judge, I can't eat something as unhealthy as cake!" "Number 42" called over the load speaker and I knew it was time to pick up my burger. 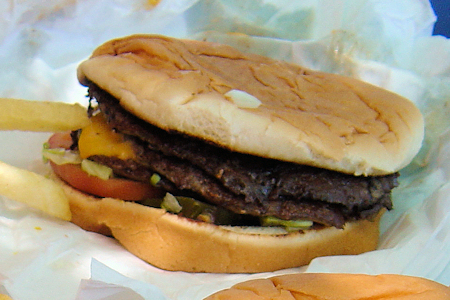 At first I was surprised at how thin a triple meat burger could be. I looked closely and there were three thin meat patties. 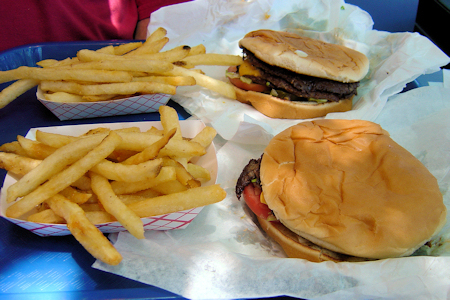 The meat patties looked a lot like the ones I got at Watts Burger in Odessa when I was a kid. The fries were obviously hand cut. The Dr Pepper was cold. It was time to eat. The burger was great. I like my burgers cook medium well, browned on both sides of the patty. When you get a Storm's triple meat burger, you get six sides well browned. It was great. The jalapeños were hot, the burger was good and like I said, the Dr Pepper was cold. What else could you ask for? Except maybe a piece of strawberry cake.